Tales of the Legion of Super-Heroes in "The Colossal Failure!" When Colossal Boy's parents are kidnapped, he is blackmailed into betraying the Legion. Bouncing Boy discovers that Colossal Boy leaked out secret Legion training information. Deemed a traitor, Colossal Boy is dismissed from the Legion. 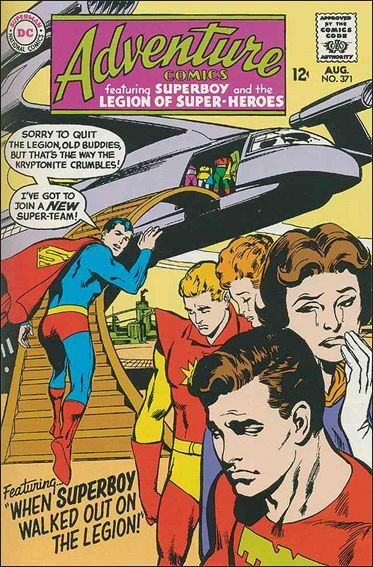 Superboy in "When Superboy Walked Out On the Legion!" Reprinted with alterations from Superboy (Vol 1) #101.